ITVBe’s ‘The Baby Diaries’ recently took us on a journey through pregnancy and birth with TOWIE star Sam Faiers’ and her partner, Paul Knightly. In her quest for a natural, calm and easy birth, Sam opted to undergo various classes and treatments, including hypnobirthing. From the moment she discovered she was expecting, it was quite evident that Sam felt like she was on a roller coaster ride of excitement, taking the opportunity to show off her new bump in various photo shoots, whilst continuing with her busy work schedule. And indeed these feelings of anticipation and excitement are only natural and common for many mums-to-be. However, at some point the realisation dawns that, no matter who accompanies you and no matter what type of birth you plump for, it’s going to be down to you and you alone to deliver the baby safely. Suddenly you may find yourself feeling quite alone and quite frankly terrified at the thought of giving birth. And of course, for first-time mums, the prospect may be particularly overwhelming, many preferring to push the thought to the back of their minds for as long as possible. It may well have been for this very reason that Sam herself chose not to recruit a midwife until she was some 29 weeks pregnant! Then, of course, there are those oh-so-special(!) friends and family members, who seem hell-bent on telling you their childbirth horror stories and others who revel in bombarding you with their opinions. Indeed, when deciding where to have her baby, Sam found herself caught between the opinions of her partner and mother-in-law, who sided with her in being all in favour of a home birth and those of her mum and sister, who insisted she would be safer in the hospital. All of a sudden, everything starts to get on top of you and you start to wonder what you’ve let yourself in for and whether you can cope with all this. But, of course, there’s no turning back now! Bringing another life into the world should be a positive, magical experience. However, the reality is often rather different. For starters, pre-existing maternal medical conditions often dictate the type of birth (i.e. Caesarian or natural) and even which hospital we can attend due to the resources available. Many may have to discard carefully constructed birthing plans, often at the last minute, due to unexpected complications and unforeseen circumstances. This was indeed the case for Sam, who went into labour 2 weeks early and had to abandon her home birth in favour of the hospital when her baby’s heart rate spiked. STAY CALM? EASIER SAID THAN DONE! When the contractions start, expectant mothers can feel like they have little or no control over their body and fear and a wave of sheer panic can easily set in. Staying cool, calm and collected is all very well said but much less easily done. It is therefore perhaps little wonder then that, as her special day drew near, Sam wanted to do all she could to ensure she had a birth that was as natural easy and stress-free as possible, including enrolling herself on hypnobirthing classes. So What is Hypnobirthing And How Can It Help? 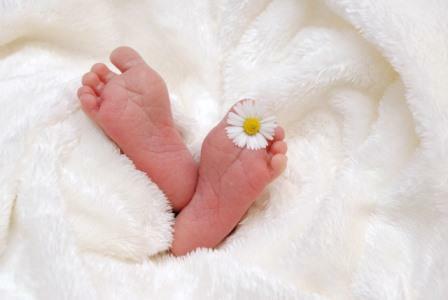 Put quite simply, hypnobirthing utilises the state of hypnosis and suggestion to teach simple yet specific self-hypnosis together with breathing and relaxation coping strategies. For instance, one technique may be for a patient to be asked to imagine a ‘safe place’; somewhere where they feel comfortable and at ease and to where they can retreat when needed; useful for distraction and relaxation purposes when the time comes. Through its various techniques, hypnobirthing enables any tension, stress, anxiety and worries surrounding birth to be dealt with and released, so that when the big day arrives, birthing muscles will perform just as nature intended, ensuring an experience that is as pain free, enjoyable and natural as possible. Consequently, mum-to-be is left feeling prepared, both mentally and physically, firmly in control of her own body and fully equipped for what lies ahead. BUT WILL I GO INTO A TRANCE? However, although hypnobirthing is great for teaching a person various coping strategies, thereby helping them to feel more in control and able to manage when giving birth, what if things go deeper? Pregnancy poses all sorts of obstacles to overcome, not just that of giving birth and may raise issues that provoke more than just a general anxiety or nervousness. For instance, some may have a genuine phobia of giving birth. Others may have a phobia of hospitals and dread the thought of having to set foot in one for a routine check- up, let alone having to stay in one overnight. Indeed, for those with agoraphobia, the possibility of staying away from home may instill the fear of God in you! Yet others may have a phobia of needles, blood tests or injections. And for those with Emetophobia (the fear of vomiting) the mere possibility of being sick may dissuade you from even entertaining the idea of pregnancy in the first place! Where this is the case and things go beyond general pregnancy-related anxiety, LCH may be the answer you are looking for. Where there is a deep-rooted problem, there has to be some reason WHY. And this reason can only lie in a person’s subconscious. After all, if you consciously knew what was wrong you would have corrected the problem for yourself! Whilst many treatments purely concentrate on symptoms and teach managing and coping strategies, LCH is designed to get to the root of the problem with the aim of correcting and disposing of the problem once and for all. After all, if you merely prune a tree, it may well grow back stronger! Besides, why ‘manage’ when you can dispose of the problem entirely? To find out more about how LCH treatment works: How Does LCH Work?